Map of high peak region in the Adirondack Mountains. Size 30 x 40 inches. 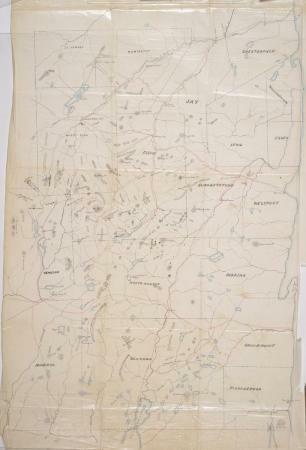 Source: Adirondack Museum Library, Seneca Ray Stoddard collection, MS 75.2, map file 3.